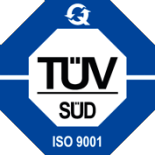 TUF Group has a Cored Wire manufacturing facility located in Domjur Village, West Bengal, India with installed capacity of 5000 MTPA. Production commenced in September 2010. TUF Commodities DMCC ( part of TUF Group ), is having distinction of successfully running operations and maintenance of BAFA for almost 4 Years starting 2012 till 2016, that includes, procurement, marketing and all spheres of manufacturing of Bulk Ferro Alloys. Bahrain Ferro Alloy was established in 2002 at the Hidd Industrial Area of Kingdom of Bahrain. Smelter: The smelter consist of a 24MVA Submerged Arc Furnace with an installed capacity of 50,000 tpa of High Carbon Ferro Manganese or 30,000 tpa Ferro Silico Manganese with an option to change over to either of these products. Captive Power Plant: Power requirement of Ferro Alloy smelter is met through a captive power plant located inside the BAFA premises. The facility includes two gas turbines with total installed capacity of 50MVA and other auxiliary equipment to operate the Ferro Alloy plant uninterruptedly. Copyright Â© 2015 TUF Group. All Rights Reserved.